Transport bosses need little prodding in public to utter the words “safety is our number one priority” – a mantra so widespread that, as with an English person inquiring “How do you do?” the inherent insincerity is barely noted. Clearly, the main objective of rail companies, airlines or carmakers is moving people or things, for profit, with all the risk that entails. What those industries have excelled at is vastly reducing that risk. In Britain, more than 11 years have elapsed since a passenger was killed in a train crash. Fatality rates in car accidents are declining, particularly for drivers; yesterday the European commission announced that extra safety features, including automatic speed limiters, would soon be mandatory. Aviation in particular has long enjoyed the statistical claim to be the safest form of transport. Worldwide, modern passenger jets appeared to have reached a point where they never crashed without the deliberate, malign intervention of terrorists or suicidal pilots. But the fate of the two Boeing 737 Max planes, which both crashed soon after takeoff, has perhaps done more to undermine faith in the industry’s own processes than any preceding incidents in recent history. 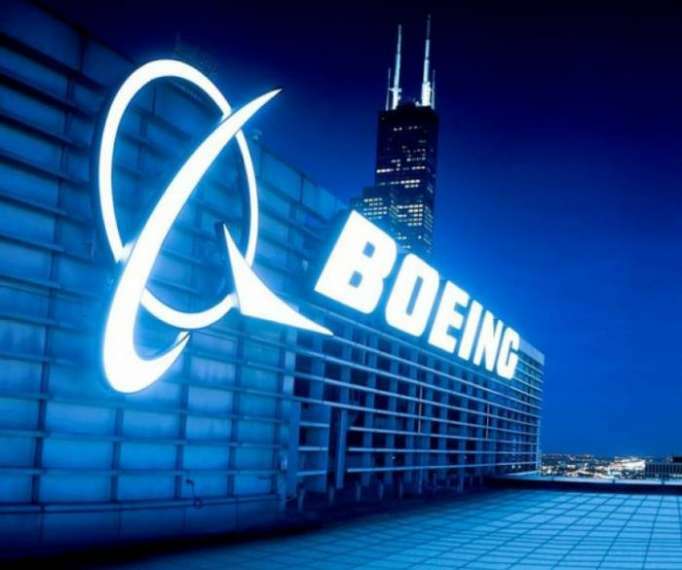 Questions have been asked of the regulator, the US Federal Aviation Administration, and the scope it gave Boeing to verify its own plane’s safety. Boeing has convened pilots, regulators and technical experts today to explain their work and try to restore confidence – shaken again this week by the emergency landing in Florida of a 737 Max that was being moved for storage purposes while banned from passenger service. No airline would ever want to believe it was flying a plane that might crash. But some suggest that the cumulative commercial pressures that airlines feel have ways of resurfacing throughout an industry, with potentially nefarious effects. Airlines vie to offer cheaper fares; costs per seat can be offered via newer, more fuel-efficient planes. A new model is even more cost-effective if it does not require highly paid pilots – trainers and trainees – to be taken off active duty to spend time at bases in simulators. We now know that at least some US 737 pilots were appalled to discover that only short “differences training”, self-taught in a short session on an iPad, was deemed necessary to learn to fly the updated 737 Max, whose design was different enough for Boeing to decide new anti-stall software was needed. It’s difficult to read even the cold, formal, occasionally broken English of the preliminary report into the first 737 Max crash in Indonesia without feeling the horror: two young Lion Air pilots, thousands of feet up in the air, clueless how to battle an onboard computer that was repeatedly, erroneously, pushing the nose of the plane down. The software countermanded the pilots’ instructions 26 times in a row, and finally took 189 people into the sea. Subsequent reports of cockpit voice recordings show that the pilots were desperately leafing through the manual. We now also know that Boeing had designed safety features and warning lights for the 737 Max as an optional extra purchase – money that airlines in the US decided was worth spending, though carriers in the Ethiopia and Indonesia crashes did not. Those will now be standard. Neither are safety regulators immune from financial pressures. Indeed, the firms they regulate are the ones often paying for their services – in other words, customers who can in some circumstances shop around. Cost-cutting at Britain’s own air safety regulator, the Civil Aviation Authority, led to a large exodus of experienced staff, and whistleblowers afterwards leaked a highly critical internal reportclaiming passenger safety was at risk. Today light-touch regulation – assessing airlines’ competency to certify their own safety, rather than employing inspectors to actually do the checks – is broadly accepted in the industry. But it coincided with the Shoreham crash, the worst airshow disaster in 60 years; investigators turned their fire on the CAA’s licensing regime, which had inspected just eight of 281 shows approved. In the US, politicians have long queried the closeness of the FAA to Boeing, the manufacturer it regulates – but to which it also delegates aspects of aircraft safety certification. Yesterday again the FAA defended that practice in a Senate hearing on cost grounds. The idea that cutting corners or costs risks such loss of human life feels obscene. Yet arguably those are choices made any time someone opts to buy a car faster and less reinforced than a square and solid Volvo. In government accounting, the value of a prevented fatality has a number. But honest conversations about the amount of risk we are prepared to tolerate are rare. One answer the Department for Transport came up with to drive down the spiralling costs of rail travel was to cut guards on trains. This week, the rail accident investigation board reported how, for the third time recently, dozens of angry passengers trapped in a stuck train with no guard decided to disembark on to the tracks, at high risk of electrocution or being hit by other trains. Nonetheless, many rail operators – and doubtless passengers when questioned on fare levels – regard cutting guards as a sensible trade-off. Disasters tend to shift that perception of acceptable risk. As Amy Fraher, author of The Next Crash: How Short-Term Profit Seeking Trumps Airline Safety, observed in her 2014 book, few in finance saw the risks developing before banks imploded in 2008, and aviation processes could be under similar strain. According to her research, a majority of US pilots believed a combination of fatigued staff and commercial pressures would soon lead to another crash. To take for granted increases in safety – the result of many years of often expensive, laborious rule-making and regulation – could again prove a fatal mistake.